Quality ironwork offers a timeless sophistication to any home or building. 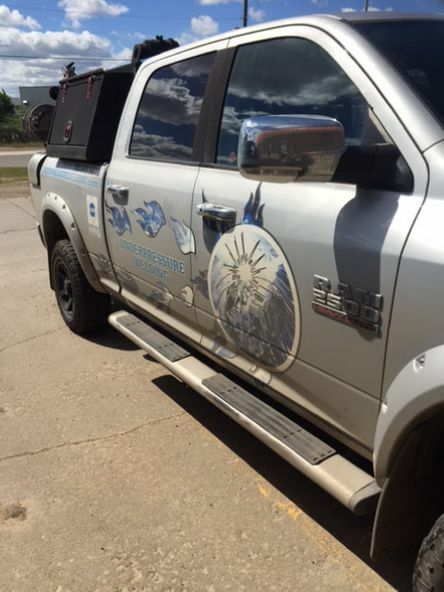 When you want metalwork services in Edmonton, AB, talk to the team at Underpressure Welding Inc. We specialize in laser cutting, metal components and steel fabrication. Don't see what you need listed here? Call us anyway, and we'll see what we can do for your next project. You can trust our ironwork to give your property a finished, polished, and elegant look. Whether you need your stairs repaired or a new fence installed, you can count on Underpressure Welding Inc to finish the job quickly and affordably. We also provide emergency welding services at any time of day or night so you don't have to wait for repairs. To learn more about our services, or to schedule repairs, call us today. The Best Welding Repairs on 4 Wheels! Our experienced welding team will come to you to provide mobile welding on your site.